You can’t drive a vehicle without a car battery, and if you are, you’re either living in the age of the Flintstones or you’ve sought out alternative vehicle methods. In this article, we’ll be showing you the best type of car battery for your needs, tips to know before buying, as well as factors you’ll need to consider before purchasing. If you don’t have a warranty on your current battery and you must replace it, this is a perfect article for you. Lead-acid battery – also known as a “regular” battery, this one is noted as low maintenance, and they’ll cost much less than your standard absorbed glass mat battery, but they tend not to hold charges for as long as the AGM battery, and can’t really tolerate a type of deep discharge. It’s worth noting that the caps on these types of batteries shouldn’t be removed, as they aren’t meant to be. The power source of this battery is the liquid that’s within the battery. Absorbed glass mat – also known as an AGM battery, this is one that’s built to make sure it can withstand recharging and draining cycles with ease, unlike standard batteries. Now, you might wonder how much the price can rise in comparison with a standard battery, and this could be 40 percent to 100 percent more than your conventional battery. When to know what type of battery to use: if you’re someone that doesn’t go out and start your car every day and doesn’t have anywhere to go, or you’re buying this for someone elderly, this battery is great for you. You’ll want to invest in an absorbed glass mat battery, as they’ll last much longer, and you won’t have to go out and start your vehicle every single day. Make sure that you know what fits what before buying. Let’s take a look at some tips to know about the battery you choose. Make sure you’re proactive – when it comes to your battery and maintenance, you should always be thoughtful of when you should replace. We know you’re considering buying one right now, but in the future, you want to know when you should consider replacing so you don’t cause a plethora of other problems when you overuse a certain car battery. With that being said, you should keep up with maintenance on your current or potential battery so that you can get the most life out of it. Test your batteries annual – while it’s not uncommon for batteries to be maintenance free as of modern times, you should always have your car battery tested out by a professional to ensure that the weather isn’t damaging it or making the lifespan shorter. A general rule of thumb is that if your car battery is at least two years old, and you live in a warmer region, you should test it out as soon as possible, and every year after the second year. For those that live in chillier climates, you should begin testing if your battery is at least four years old. Your driving needs – Ultimately, your battery should match your driving needs. If you’re replacing one currently, you’ll want to ensure that you get one that has the proper terminal locations for the vehicle that it’s going in, as well as making sure they’re the proper size. If you’re unsure of all of this, and this is your first time buying a new battery, you’ll want to check out the owner’s manual or check with a local mechanic before taking the plunge and purchasing a new car battery. As for your driving needs, you’ll want to make sure it can withstand the climate of the region you live in, as well as how often (or not often) you’ll be driving. While it’s generally great to get out and start the car every day, even if you’re not driving it every day, some batteries don’t require such upkeep as modern technology has made it more simple for them to withstand certain situations. Battery life testing – If you live in a warmer climate, this next tip is definitely for you. If you find that one battery you’re eyeing didn’t do great in battery testing, you shouldn’t go for it. 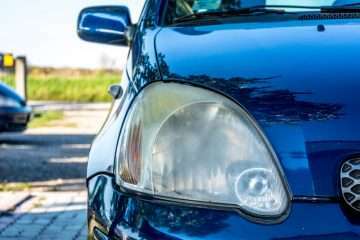 Because warmer climates are rougher batteries, this kind of weather increases the corrosion on the plate and vaporizes the electrolyte much quicker than required, which is needed to bring the current to the vehicle and power it up. A battery that does t his took quickly and in a warm climate won’t have that long of a battery life in comparison with batteries that are fantastic in warmer climates. Other tests that should be done to ensure that the battery is incredibly well-fit for your car include a reserve-capacity test and a cold-cranking amp test. While we understand that you won’t be able to perform these tests while searching for a battery online, you can always research that specific battery more and see if these tests were performed already. It’s not uncommon for YouTube reviewers in the industry or niche to perform these types of tests. Fresh batteries – you shouldn’t really buy a used battery, or one that’s been in improper storage for quite some time. If it’s not stored at a professional facility or retail outlet, then it’s most likely been improperly stored. If you want to get the most performance out of your battery, you should buy one that’s no older than 6 months old. You might be wondering how you can check this out, and there’s typically a code on the case that indicates shipping. While some use letters for the months (A for January, B for February, etc.) or the number indicating the month, it’s usually easy to tell how old the battery is. Recycling your old battery is a huge tip we have to give, as when it’s improperly thrown away into the dump, you run the risk of harming someone or the environment. Most retailers will allow you to properly dispose at their facility. At some places you buy a battery at, you can get a credit towards the new battery by disposing properly of your old battery. Lastly, you should always compare warranties on one battery versus another. You’ll be using a car battery to safely transport you to and from your destination, and you don’t want to skimp out on the most important piece of your vehicle. It could put you at danger or it could pull money from your pockets and cost you hundreds more in the long run. Now, let’s look towards some of the best car battery listings we’ve found on the market currently. First on our list is an absorbed glass mat battery that will bring life for quite a long time. Featuring high-density negative paste that ensures that battery life is prolonged, as well as a better performance than conventional batteries, you’ll be able to hold onto this one for quite some time. If you don’t go out and start your car every day, and need something that can keep up with this lifestyle and recover well, you’re looking at your new car battery. While it’s slightly more expensive than a conventional battery, the pros vastly outweigh the cons. 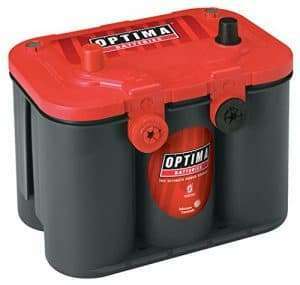 Furthermore, there’s a calcium lead positive grid, as well as an envelope separate for better acid circulation, further increasing the longevity of this car battery. 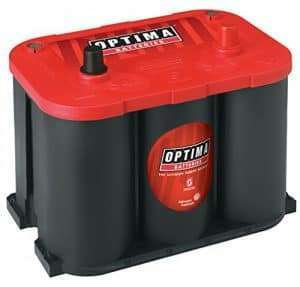 Next on our list is a battery from OPTIMA that is quite powerful, despite not being an openly advertised absorbed glass mat battery. Featuring a capacity that allows for 720 cold cranking amps, as well as being 15 times more resistant to vibrations, allowing for a better performance and not stalling out. Even if you live in a cooler climate that has harmed your batteries in the past, this battery is capable of starting up in an optimal manner during such weather – no worrying about your car not starting in the harsh and cold mornings. For those wondering, this battery is 12-volts, and is 31.7 pounds in weight. 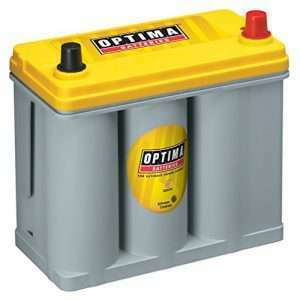 Next up on our list is another Optima battery that may work better for some. Resistant to vibration for enhanced durability, this dual-purpose battery features a reserve capacity of around 66 minutes for better and constant performance. 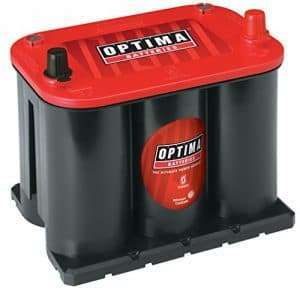 This 12-volt battery also has 450 cold cranking amps, which isn’t as many as some from Optima, but for the dual-purpose option, it’s a great choice that’s still quite durable. Other features of this battery include the deep-cycle and ability for cranking power, maintenance-free usage, as well as a battery life 3x longer than the average. You’ll also be able to reap the benefits of faster recharging, with more than 300 recharge and discharge cycles within the lifespan of this battery. We couldn’t pass up showing this starting battery from OPTIMA. Featuring 800 cold cranking amps on this 38-pound battery, you’ll be able to use up to 100 minutes of reserve capacity for increased constant performance, you’ll also be able to reap the benefits of a battery that’s 15 times more resistant to vibrations than other batteries on the market. OPTIMA knows how to make them! You’ll also be able to start this up in cold weather with no problems, and reap the benefits of a maintenance-free battery with faster recharging than the average. Being able to mount this battery in any position you like, as well as a spill proof design, you won’t have to worry about much with this battery. The great thing about this battery is that it’s not limited to certain models of cars, and can actually be used for motorcycles and trucks. Yet another OPTIMA battery on this list, we’re sure that one will work for you. Featuring the ability to use 800 cold cranking amps, as well as 12-volts of power, this 38.8-pound battery will be able to withstand quite a bit. From harsh and cold weather in the morning to not being started for a short duration, you’ll be able to reap many benefits of this battery. Those that want to recharge this battery can do so, and it only takes 6 to 12 hours – great for those that want to charge up before going on a road trip or charge their battery overnight. Other car batteries can take far longer, and have amperage limits unlike this battery. You’ll also be able to reap the benefits of a battery that’s much more resistant against vibrations – better durability without doing anything! This battery also features a strong starting burst, so it doesn’t fade off and stall your car. Get the power you need when you need it. The recharging rate for this battery is much faster, too! 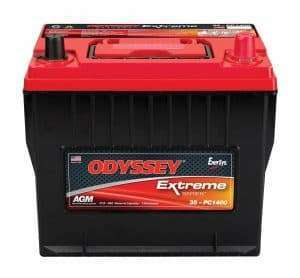 Last on our list is a battery from Odyssey and is a very popular battery that has around 850 cold crank amps. With a better warranty than most, you’ll be able to have one that lasts between 3 and 4 years for replacing. The cycle life is rated as 70 percent longer than your average conventional battery, and you’ll b able to reap the benefits of up to 400 cycles at 80 percent. We’ve thrown a ton of information at you, and if you’re a first-time car battery buyer, then you still may be looking for the best car battery suggestion. 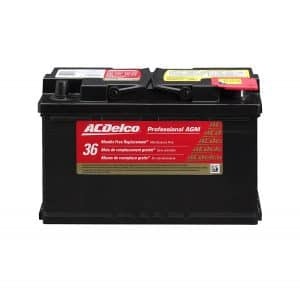 We think that the ACDelco 94RAGM Professional AGM auto BCI group battery is the one for you. A 94R battery, this one isn’t too expensive, and has enhanced life with high density negative paste for the best performance improvement. It’s not a conventional battery, so it will last much longer for those that don’t go out and start their car every day, while not being too expensive.